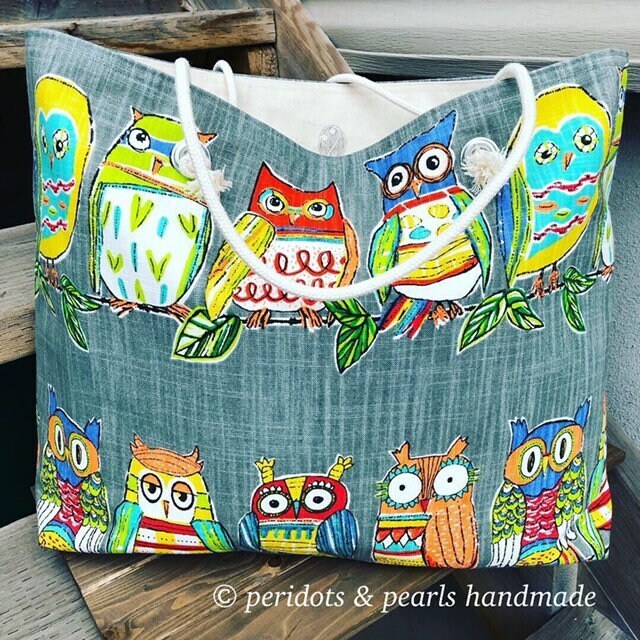 This light-medium weight 100% cotton canvas bag is ideal for your larger sewing/knit/crochet projects, for a day at the beach or pool, or for a weekend getaway. It has three roomy pockets inside to keep your items organized, and a box bottom. 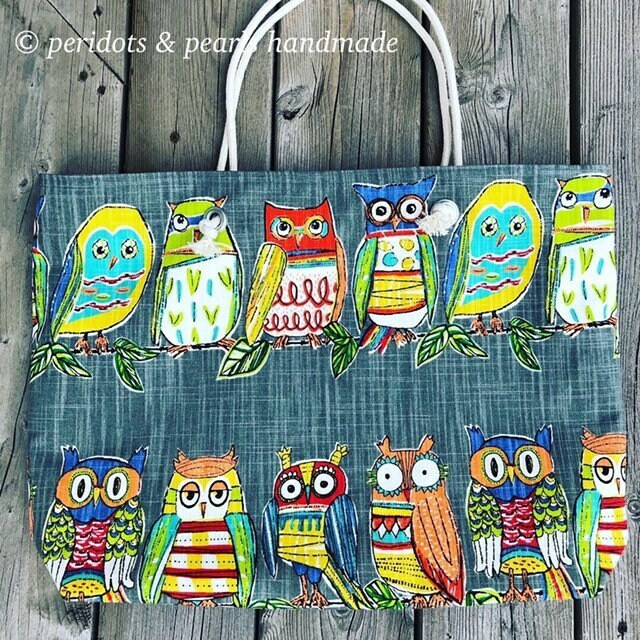 A fun colourful owl pattern on a grey background; interior is an ivory cotton duck canvas. Approximately 20”wide and 16” deep. Rope straps have an 11" drop, and are made of 100% cotton so they are soft on the hands and shoulders. It will fit over an average-sized adult’s shoulder but with ample room under the arm. This bag is not interfaced so it will not stand on its own.